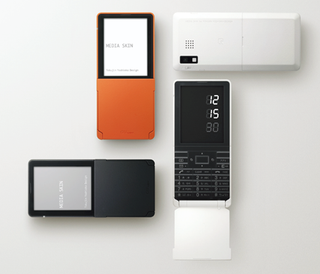 Remember that hot Media Skin cellphone we saw nearly two years ago from Tokujin Yoshioka design? It's about to be released on KDDI and not NTT DoCoMo, which to most Americans means absolutely nothing. 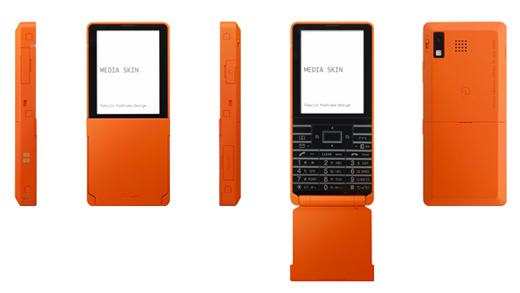 The Media Skin, however, comes in black, orange, and white, has a QVGA screen, and some various other features we can't quite make out because we don't read Japanese. 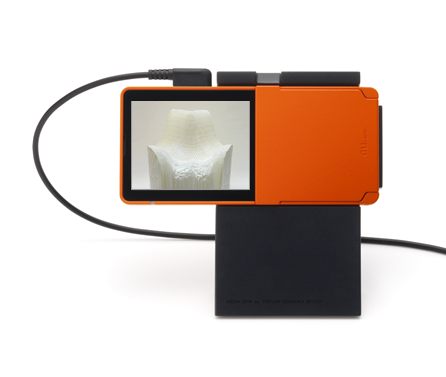 Point is, design projects actually do make it out sometimes—at least in Japan.